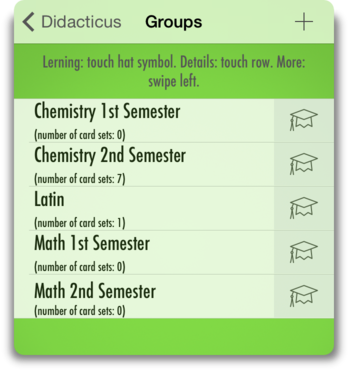 Didacticus is an easy to use flashcard learning system. Use it for vocabularies or other school material. 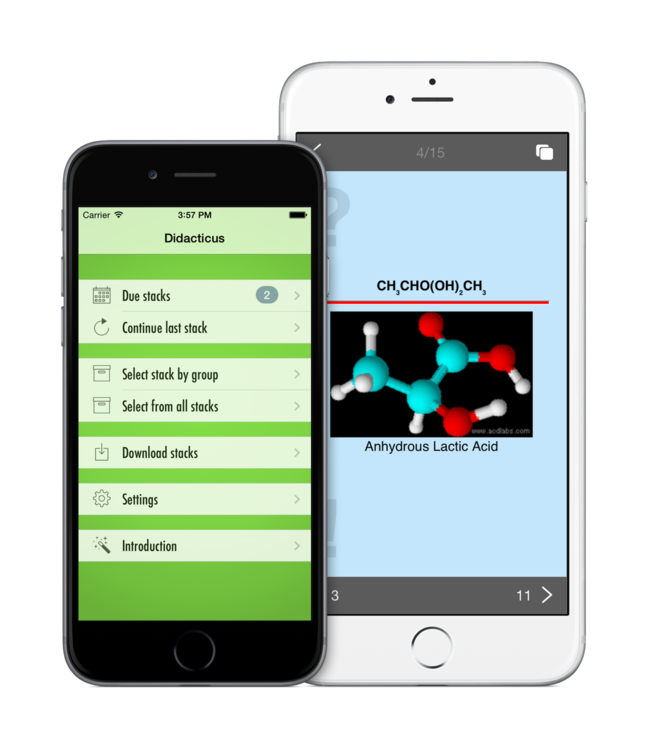 The main idea Didacticus is based on is to present wrongly answered flashcards more often than those being answered correctly. The modul Long-Term Goal will even repeat correctly answered flashcards in increasingly larger time intervals. This way your knowledge becomes part of your long-term memory. Didacticus will automatically remind you to perform these repetitions. Depending on your goal select one of the learning methods. Long Term Goal: helps you making your knowledge being part of your long-term memory by repeating even the correctly answered flashcards in increasingly larger time intervals. Didacticus will remind you automatically! Shrinking: You start with all flashcards of the selected stack. The wrongly answered flashcards are presented till your answer is correct. Group your flashcards, eg. by topic or semester. Create new groups at any time, rename or delete them. Move stacks from one group to an other. Didacticus can sort your stacks by various criteria. 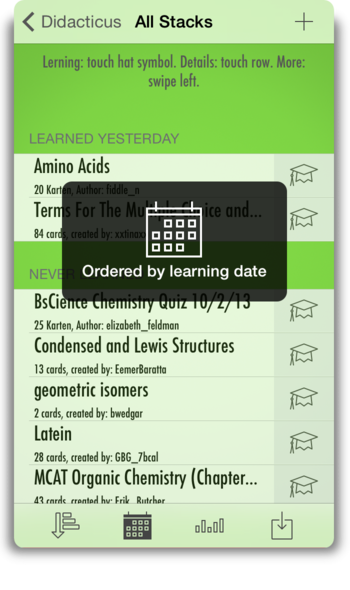 Sort by stack name, by learning date, by assessment or by creation date. Share your stacks with your friends by AirDrop or e-mail. Swipe left on a stack and touch the Share symbol. The option AirDrop will be shown if your device supports this feature. Otherwise you can send the stack by e-mail. 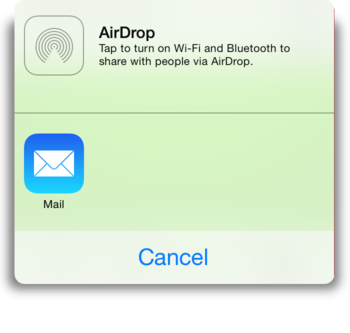 The receiver can import the stack from the mail app. Another option is to import a stack from a CSV file. You can find a description here. For questions and answers regarding Didacticus see here.